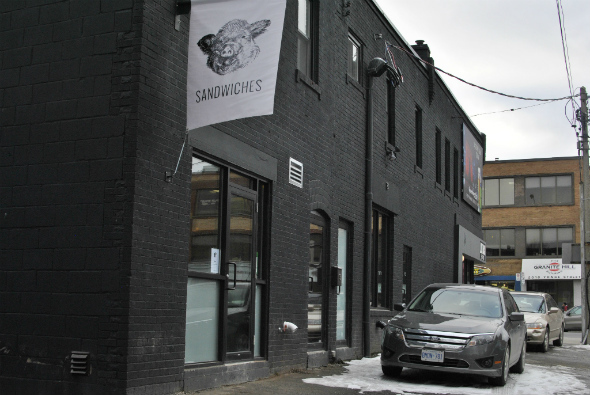 Boar is a new addition to Yonge and Davisville area that should make sandwich lovers quite happy. Located a few steps east of Yonge on Glebe Street, you'll find this new bare-bones restaurant pumping out home-style Italian classics. From the owner of the Black Camel , Boar opened at the beginning of March and has already started to make a name for itself on a strip of Yonge that's quite robust when it comes to dining options. Boar is designed for the grab-and-go crowd with a very sparsely decorated interior and seating for a scant eight people. Manning the cash, Eli (son of Black Camel owner, Irwin Schwartz) is quick to greet new and emerging-regulars as they come in to check the place out. In the same style as the Black Camel, you get to choose between five base sandwich fillers to match up with 13 topping/sauce options. 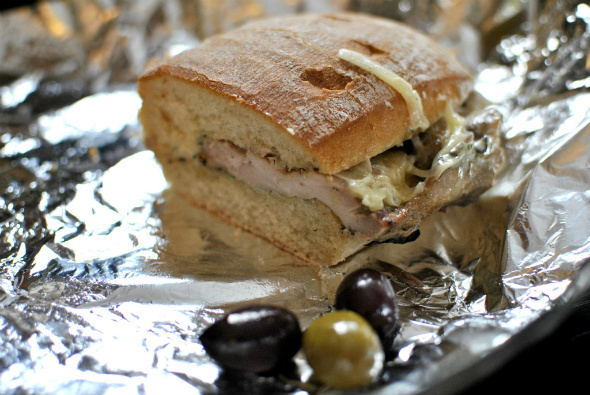 By Eli's recommendation we order the classic veal sandwich (starting at $8.25 + toppings). 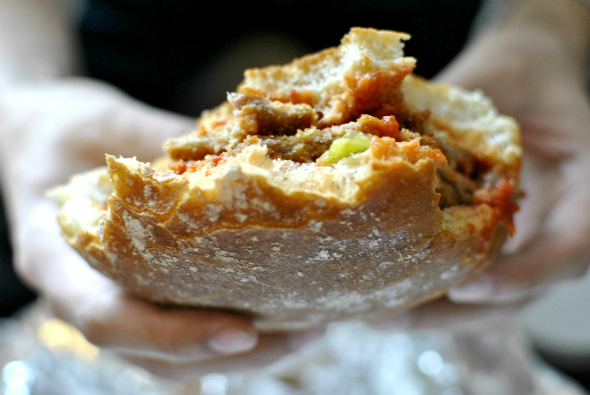 We're told the recipe of the sandwich is based on the widely popular California Sandwiches. Breaded and fried veal cutlets are stacked three high with a thick tomato sauce and mushy caramelized onions. While it's not ready to compete with California's just yet, this less-greasy version of the iconic veal sammy was still delicious. Next we ordered the chicken sandwich with the lemon-garlic aioli, sweet roasted red peppers and provolone ($9.65 total). The prepared grilled chicken breasts were still moist and tender, and once smothered in the creamy aioli were bursting with Mediterranean flavours. The Italian bun soaked up the liberal coating of sauce, keeping most of it off of our clothes. We were a little disappointed in the Sausage sandwich, ordered with lemon aioli and hot banana peppers ($8.40). It comes served on the same bun as the other sandwiches, but with one skinny sausage cut length-wise, the amount of meat doesn't match the size of the bun. 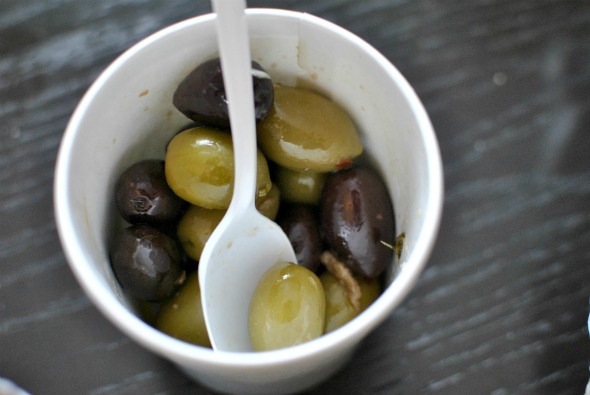 To accompany our sandwiches we got a large order of the olives ($4). The warm mixed olives had a serious anchovy kick, and the savory, salty infusion was a great companion to the sandwiches (and healthier than potato chips). In keeping with the tradition established at the Black Camel, Boar has already had a few sell-out nights in their short history. 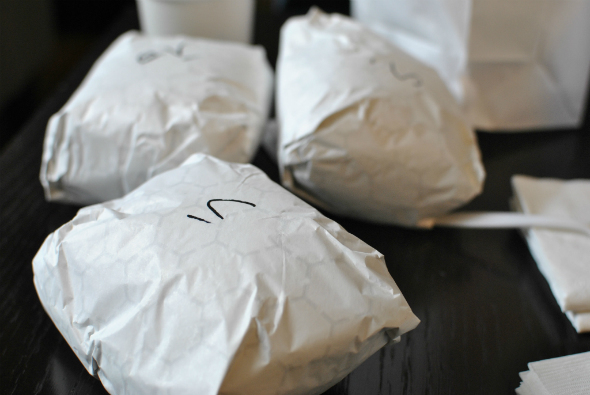 If you're looking for some solid sandwiches and are a fan of the Black Camel, it's worth giving Boar a shot. Frequent diner cards are available, so you'll get every 13th sandwich free if you're looking to try out all the different combinations. 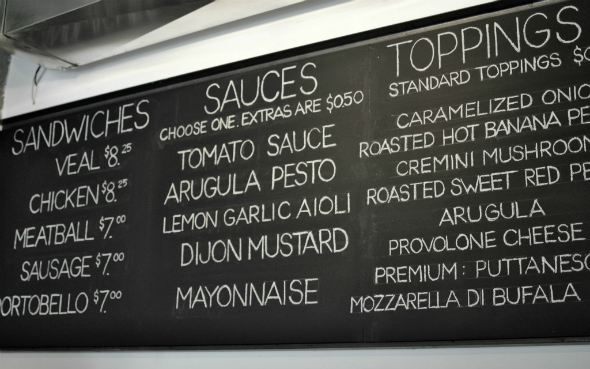 Boar is open from 11am- 8pm, Monday-Saturday. If heading there closer to the end of the day, make sure to check their twitter feed (@boarsandwiches) to make sure they've still got a bun ready for you.